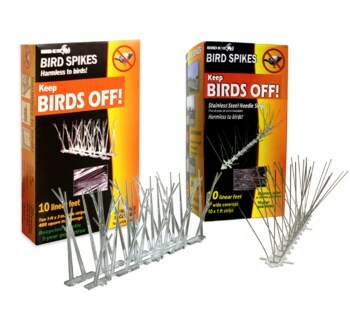 Bird spikes are a 100% effective, maintenance-free, and permanent solution to pest bird infestation. 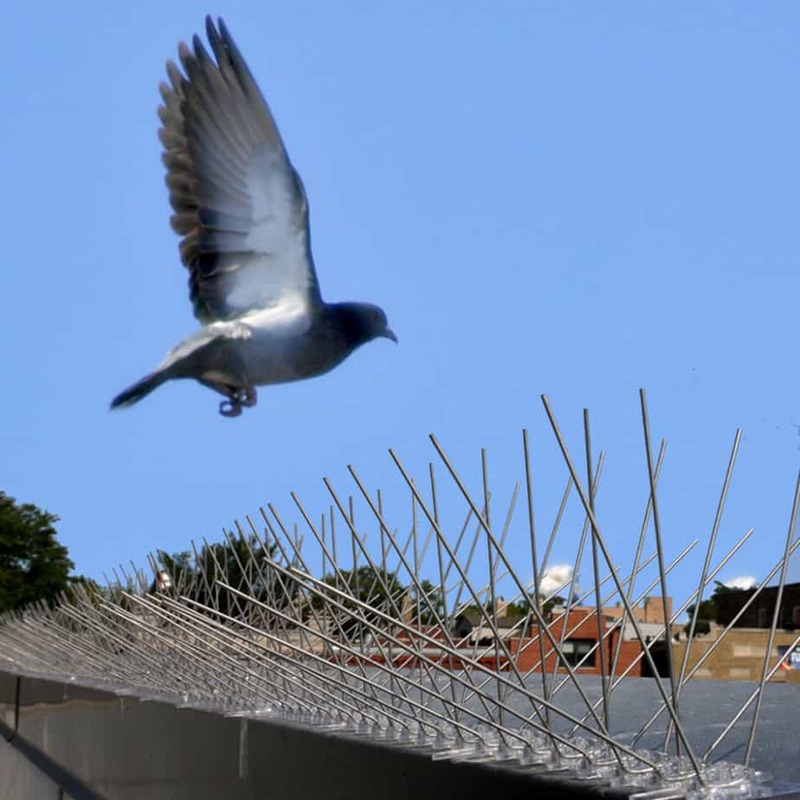 Install bird control spikes on common bird landing surfaces such as rooftop edges, ledges, window sills, chimneys, or anywhere pest bird roosting and nesting are a problem. 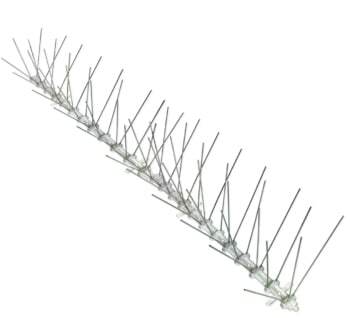 Bird spike strips are a guaranteed way to prevent pest birds from landing on your property, while eliminating pest damage and liability. One-time solution when installed properly! 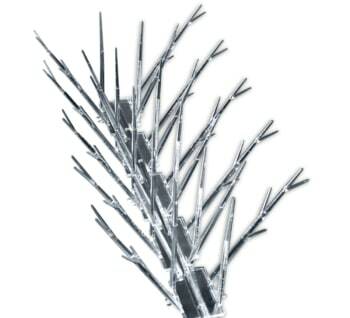 Effective wherever applied; physical barriers like Bird Spikes eliminate the ability to perch, roost, or nest. For best results, check periodically to ensure no leaves, trash, or other mess clogs the spikes.